The following is from Josephine Wilson's novel, Extinctions. Frederick Lothian moves to a retirement village after losing his wife and his two adult children. When unfortunate events force him and his neighbor, Jan, together, he begins to comprehend the damage done by a lifetime of accumulated secrets. 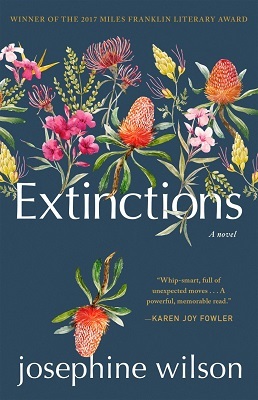 Josephine Wilson has won the 2017 Miles Franklin Literary Award, the Colin Roderick Award, and the inaugural Dorothy Hewitt Award for Extinctions. A brisk knock on the front door and Frederick froze, like a setter with a bird in the bush. Another knock. “Anyone home?” A woman’s voice. He didn’t know any women. “Who is it?” He heard the voice of a scared old man. The budgerigar woman. What could she possibly want? He left the box of books on the table and went over to open the door, leaving the security chain in place. He unchained the door and pulled it ajar, leaving his body in the narrow gap. “Of course, Janet,” muttered Fred, meaning of course he minded and of course she wouldn’t have any idea that he minded. He fiddled with the door and found his slip-on shoes, then made his way out to his neighbor, who was standing on the other side of the driveway, wrangling a large bin that was pitched sideways in the gutter. “Terrible weather, isn’t it?” Jan called. She was tugging at the bin with one arm while keeping another hand on the stack of empty yogurt containers spilling out of the top. “Awful,” agreed Frederick, hurrying over to help. How could anyone eat that much yogurt? He hated yogurt. As he walked toward her his left knee gave out and he stumbled. “Of course, Janet,” muttered Fred, meaning of course he minded and of course she wouldn’t have any idea that he minded. “I kicked it over there,” said Frederick, gesturing vaguely toward the grass next to the driveway. “I’ll just make sure no one else trips over it, then,” she said, scanning the open space. “The driveway, you say?” Jan left the bin and let yogurt containers spill down onto the path. She walked slowly across the driveway with her arms behind her back and her eyes on the ground. “Actually, it was a small-to-medium-sized stick—and greeny-colored. Like grass.” Oh, god. What an infuriating woman. Only his closest friends called him Fred, but he could hardly ask her to lengthen his own name straight after she had told him to shorten hers. He tried out her name in his head: Jan. Hi, Jan! There were many reasons not to chat to Janet—Jan—but the main one was she might want to become his friend, and Frederick did not want any friends. Jan tugged at her head scarf while Fred dragged the bin out of the gutter. He desperately wanted to ask her if she had seen Tom fall, and if she knew how he was, but he didn’t want Jan to know he had been standing inside watching Tom tottering around in the heat. After all, it was a fine line between watching and doing. It was called Mogumber when they went, but before that it was Moore River Native Settlement, where they brought what they called half-castes after they took them away from their families. Later they set some of that film there, the one about the Aboriginal girls who walked all the way back to Jigalong. 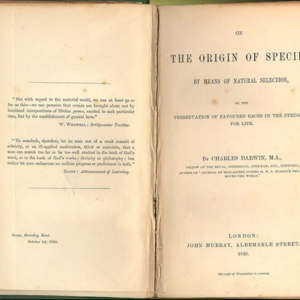 He hadn’t wanted to bring Caroline to visit the mission, but Martha insisted; she had arranged it all and found a guide to meet them there, and they weren’t changing their plans now. They followed the woman around the compound and through the abandoned wooden cottages where they once housed the children. Had they checked the registers for relatives, the guide asked, all the while looking at Caroline. Martha shook her head, and they all fell in behind the guide. They stopped to look at old black-and-white photographs on a display board: well-to-do women in hats and gloves standing behind rows of barefoot Aboriginal children. It looked to him like the 1930s, but he wasn’t about to ask either the guide or his wife. Martha glared at him. Their guide shrugged. “It’s a fine line between watching and doing,” she said. He tried out her name in his head: Jan. Hi, Jan! There were many reasons not to chat to Janet—Jan—but the main one was she might want to become his friend, and Frederick did not want any friends. “Watch yourself,” said Jan, pulling at her scarf. Her hair was presumably tucked in somewhere underneath it, as if she were halfway through spring-cleaning. Or perhaps she was recovering from an illness. Not cancer, surely? He couldn’t manage that. He wheeled the bin down the side of her unit. Jan gestured to the uneven paving at their feet. “Never mind the sticks, look at that! You could break your hip and that would be the end of it. I reported this to management weeks ago,” she continued, “and still no action, the cheapskates.” Frederick nodded in agreement. At least his neighbor thought the village was poorly run. This might be a good time to mention Tom. “Speaking of sticks—” she began again. “Did you get the letter about the latest extraordinary levy?” he interrupted. And she never would. What they called “the library” was a dim alcove with a low teak table for the local rag and two small bookcases with his-and-hers Tom Clancys and Georgette Heyers. Rather than answer, he set to work helping Jan reposition the paving stone. “How are you enjoying the village?” Jan asked, rolling her eyes and laughing. “Why don’t you come in, Fred? I’ve made a chicken pie and coleslaw and it’s not the sort of thing a woman should eat alone.” Jan patted her belly, which appeared to be a small firm mound. “Oh no, I couldn’t,” he said hurriedly. Couldn’t, and wouldn’t. Frederick ran his tongue around his lips. “Little fellows?” said Fred weakly. There was no way out of it now. Frederick waited as Jan fiddled with her keys. As the front door opened he heard an appalling flapping and screeching. The budgerigars. Frederick remained rooted on the spot. Once he crossed the threshold all would be lost. “I think I hear my phone,” he said. “It’s stopped,” said Fred. He was defeated. It was pointless to either take offense or refuse the pie. And he did have rather large ears, and he had always hated them. Jan’s house was not at all what he expected. He had imagined a fussy, female kind of place, with doilies and mass-produced figurines in the sentimental genre, but his neighbor had a preference for simple, well-made wooden furniture and Asian art. There was a lovely mahogany Buddha on the floor near the sliding door, and scrolls of Japanese and Chinese paintings on the walls. On the face of her windows Jan had hung thin bamboo blinds, which filtered subdued light into the living room, where the one longer wall was covered with books. “It’s nice,” he said, without thinking. Fred watched Jan’s face carefully. He waited for death to pass over and depart. Samuel. A biblical name, like Martha. “I’m sorry,” he said finally. “Never mind,” said Jan. She sat very still. She was waiting for him to say the right thing. He could reach inside and pull out some words, just like he had done for the dean, or he could say nothing, as he’d done when he met Linda Yu. Jan’s pie was positively aromatic. It was absolutely perfect. He could not fault it. The crust was buttery yet crisp and melted away on his tongue, and the chicken filling was dense and juicy and firm and succulent. “Closer, but no, there’s no parsley. You’ve dropped some pie on your shirt.” She handed him a napkin. “It’s very good, Jan.” He was trying to hide his hunger. It was as if he hadn’t eaten a real meal since Martha died. Fred masked his alarm with a fixed smile. “I’m afraid I’m not much of a cook, Jan. I was always the sous-chef for my wife—the assistant.” A bald lie. Martha ran the kitchen with Caroline in tow, and he had happily accepted the division of labor. He did not like the way Jan was looking at him. “Of course I can read.” Did she have to be so blunt? “Tom had an accident. I saw him fall.” It came out like a confession to Father McMahon. Jan’s eyes were watering. Fred had a large, juicy piece of chicken on the end of his fork, just ready to pop in his mouth. He was starving. He lowered his fork and tried to concentrate on Jan’s face. He nodded, and glanced quickly at the buttery pie on the end of his fork. Was it too soon to eat? Could he eat and listen? Fred jerked his head up. His gaze had fallen down to the pie again. “I’m fine,” he said. Fred pushed his knife and fork into the finished position. He would not be able to eat his pie now. He sat while Jan cleared the plates and wiped down the table. “Fair enough,” said Jan, as if she didn’t mean it. There were two photos on the wall near the front door. A fat baby was lying on its stomach on a sheepskin, stark naked except for a blue beanie with a logo from a football team Fred could not name. The second was the same boy, Fred guessed, aged about three. He was wearing oversized football shorts and holding a Sherrin ball. “Your daughter’s child?” Fred wished he had missed the pictures completely, because soon the conversation would fold back toward him. He would be circled and targeted. “Morrison is dead?” His voice sounded shrill and hysterical. “Your son is dead?” What could he do but repeat her misery? “I understand,” said Fred. He thought of Katie. To his horror Jan’s eyes welled with tears. “Thank you,” she said quietly and opened the front door. “The boy is with his mother now. But not for long.” She raised her eyebrows. There was clearly more to the story, but it was definitely time for him to exit. “Thank you again, Jan,” he said stiffly. “Please,” said Fred. Don’t thank me, he wanted to say. I don’t want to be thanked. I don’t want us to owe each other anything. Jan waited at he door as Fred crossed the driveway toward his villa. He gave a little wave without looking back. From Extinctions. Used with permission of Tin House Books. Copyright © 2018 by Josephine Wilson.